Question: I recently saw a news article about pre-workout drinks which suggested that they could be unhealthy or even deadly. Are there any real benefits to using them or is it just hype also? Answer: Pre-workout drinks evolved from standard energy drinks. When people working out used those they experienced, from their own remarks, a heightened sense of clarity, a rush of energy and a feeling of being able to lift the contents of the entire gym…twice. 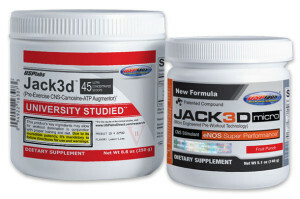 Supplement companies recognizing the potential market for a new product concocted more potent versions of the energy drinks by using “proprietary blends” of substances to excite your nervous, elevate heart rate and build bigger ” pump” sensation in the muscles. The news article you referred to probably was HBO’s Inside Sports which revealed the deaths associated with pre-workout drinks that contained DMAA, which is similar to amphetamines but has now been banned by the FDA. We don’t recommend pre-workout drinks or even energy drinks for that very reason. With the “proprietary blend ” protection on the label it’s difficult to discern the full list of ingredients or the potency of them in the formula. Considering the number of athletes we have going on to collegiate athletics and the potential for using substances banned by the NCAA, USTAF, or Olympic governing body in many of the pre-workout formulas we prefer to teach athletes how to harness mental preparation and the steps to greater focus both in training and in the sports in which they compete. Nothing you can drink replaces sound nutrition, proper rest, hydration and the satisfaction of intense training. It’s a more challenging route, avoiding pre-workout substances, but the results are real and with practice, repeatable without risky side-effects. Those who require external stimulation from pharmaceuticals typically are lacking in one or more of the other fours areas in their preparation and the dependency will backfire on them eventually.